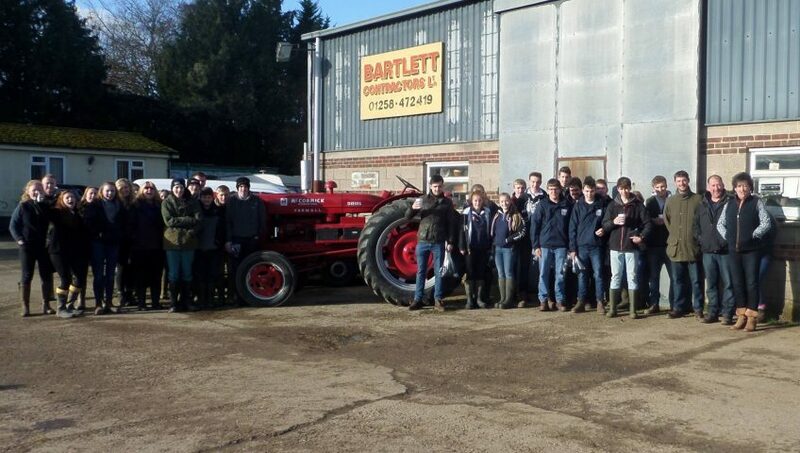 Students from Kingston Maurward College Level 3 Agriculture course recently visited our yard and were given a talk by our Director, Rob Bartlett. The students were shown lots of equipment such as balers, rakes, mowers and even our self propelled trencher - as well as both of our forage harvesters and Terragator. Rob expressed to the students the need for highly trained operatives with a solid farming knowledge to work alongside farmers in a business and indeed industry that needed to be efficient, safe and environmentally sensitive to succeed. We hope the college students enjoyed their visit, it was a pleasure to welcome them to our yard.